On 1st August the Bodleian Libraries will introduce a policy of sending courtesy emails to alert readers that SOLO stack requests are about to lapse and be returned to closed stacks. The aim is to avoid situations where material is returned to the stacks whilst still in use. 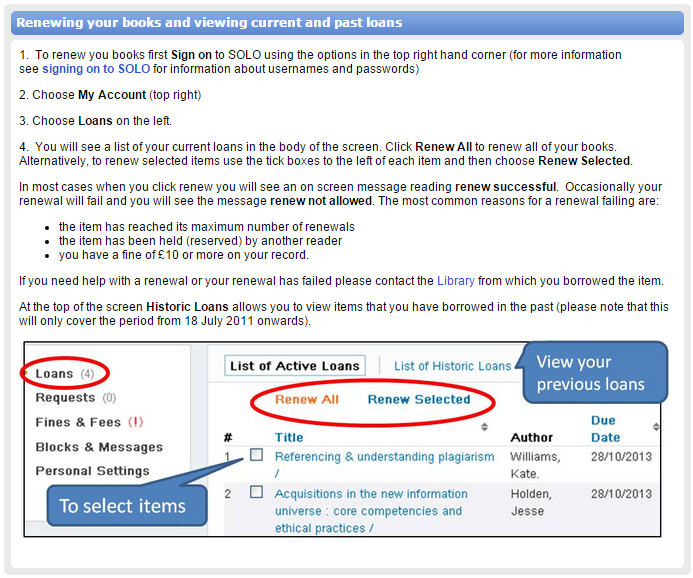 Stack requests may be renewed on SOLO in the same way as loans. Please see the instructions below or on the online SOLO guide. The service will run on a trial basis and be reviewed at the end of the forthcoming academic year. A selection of the new books received in the library during June may now be seen on our website and LibraryThing page. If you’re looking for books with shelfmarks from xA… through to xE… (oversize), these have moved upstairs to the top floor and can now be found after the end of the regular size Es and before the beginning of the 300s.